Just three years ago transport group McAleese were riding high: after winning a large contract to deliver fuel to 7/11 service stations, the firm was about to be listed on the stock exchange. But after an initial listing at more than $1.47/share, McAleese’s fortunes have plummeted, and the company recently went into liquidation. In August 2016 the share price dropped to a low of just $0.016. How could such a successful company collapse so quickly? In October 2013 a petrol tanker owned by Cootes (a subsidiary of McAleese) rolled, colliding with several other vehicles before bursting into flames, killing two people and injuring a further five. Regulators shut down the fleet to investigate, eventually charging McAleese for more than 300 safety breaches. The cause of the crash was the tanker’s brakes; ten out of twelve sets were found to be faulty, with an eleventh due for replacement. The management at McAleese had utterly failed in their responsibility to ensure their heavy vehicles were safe, and consequently, lives were lost and ultimately, their business destroyed. McAleese never recovered from the loss of business and the damage to their reputation that the incident caused. Since the crash, new legislation has come into effect that holds businesses to account for the safety of any vehicle in their supply chain – so if your transport partner is skipping essential maintenance like McAleese you could be liable. Any Australian business that loads, delivers, or receives goods has a legal responsibility to ensure that the Heavy Vehicle National Law (HVNL) is upheld. Even if your business does not operate or drive the vehicles, you are still liable if the vehicles enter onto your premises. This liability extends beyond drivers and operators to include anyone with responsibility for the supply chain. This ‘chain of responsibility’ means that directors and managers are legally liable for the safe running of all heavy vehicles used in their supply chains. Under current legislation, you and your business could be held liable in the event of a crash or a vehicle being found unfit for use, even if your business does not own or drive that vehicle. 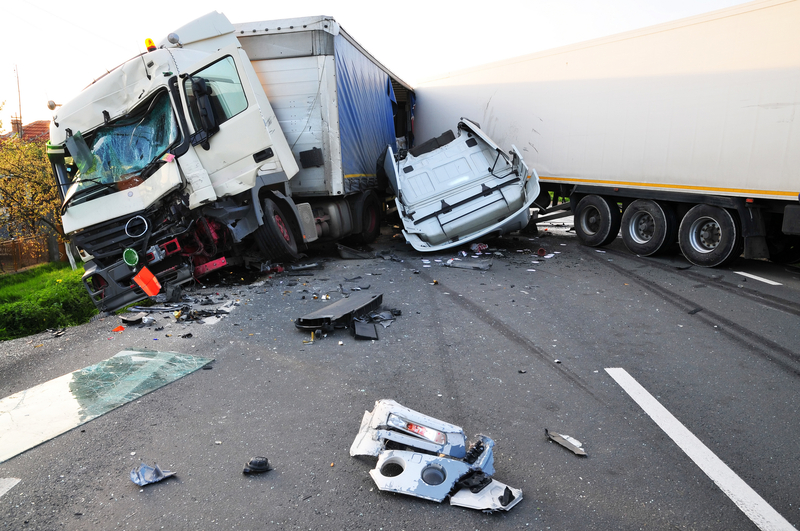 How badly would your business be damaged if the McAleese crash had been your vehicle – or that of your transport partner? Fatigue management – You must ensure that a driver’s work and rest hours are compliant with the law. Speed – Drivers must comply with national and vehicle-specific speed limits at all times. Vehicle weight – A General Mass Limit (GML) applies to every heavy vehicle, measured according to its axle group. Load restraint – The loading must comply with regulations set out by the National Transport Commission, ensuring that the vehicle is stable at all times. These apply even when you’re not driving. For example, if a vehicle visits your business to load up for delivery, you are responsible for ensuring it is loaded correctly and safely. You should also be checking the driver’s logbook to see if they are managing their fatigue correctly. The HVNL creates a legal framework that makes it clear that everyone in the supply chain has a duty to ensure that the heavy vehicles used are done so safely. But if we take a step back and consider why the legislation has been put in place, it is about public safety. Having recently sat through a joint presentation from the NSW Police and RMS, it is clear the potential consequences associated with heavy vehicles is nothing short of horrific. No leader wants to risk an employee or bystander getting injured, or worse, killed. This moral responsibility is obvious when we discuss it, but many busy CEOs are unaware, especially when their business is not operating the vehicles in question. What are you going to do to ensure the vehicles in your supply chain are safe? Are you making the mistake of assuming it is someone else’s responsibility? How do you select your transport providers? Reducing the risk to your business begins with understanding the extent of your exposure. You may assume that if you are not operating the vehicles yourself, your risk is smaller, but this is not the case – it depends on the company you’re working with. The first step for companies that engage third parties for their transport requirements is to find out how well they are managing their vehicle safety. Simply showing an interest can often prompt action on their part if this is an area they need to work on. You also need to engage with your teams on site; do they have the training necessary to enable them to understand and act on their safety obligations? For example, how well does your forklift driver understand the implications for loading? Complete our Chain of Responsibility Survey today to discover how your risk management stacks up against the opposition. Upon completion of the survey, you’ll understand your Chain of Responsibility position better, and we’ll provide you with some advice around next steps you can take to reduce your risk.